Did you know there was a Jewish cemetery in Shtip, eastern Macedonia? According to BalkanTravellers.com, in 1512, 38 Jewish families were the first to be recorded in Shtip. In 1943, all 560 Jews from the city's Jewish quarter were deported to the Treblinka death camp. The cemetery's reconstruction and conservation project will soon begin under the auspices of the Institute and Museum of Shtip, headed by Zaran Chitkushev. "The money for the reconstruction project was secured by the government, and with the project the Jewish cemetery will become a monument of culture,” Zaran Chitkushev, head of the Shtip Institute and Museum told the Dnevnik newspaper today. The to-be-fenced project, covering 14,000 square meters, also includes parking lots, pedestrian walkways, benches and monuments. Chitkushev also said that it is in contact with the European community in Macedonia and that an Israeli archaelogist will be invited to work on the project. According to BalkanAnalysis, here's more on the Jewish presence in Macedonia. The Jewish presence in Macedonia is ancient., as evidenced in the central Macedonian Roman city of Stobi, which has traces of a 1st century BCE synagogue. Roman Empire trade, commerce and travel brought together peoples from around the empire. The Jewish community remained through Slavic migration in the 6th-7th centuries and Byzantine sources record Jewish references. The Spanish Inquisition, resulting in the 1492 Expulsion, brought a new population of Ladino-speaking Sephardim to Macedona and other Ottoman-held Balkan territory, such as Saloniki (Greece). The refugees used their commercial and technical knowledge to improve the economy and other aspects of life, including the Sultan's military technology, and the community flourished under the Ottomans. In 1941, when the Bulgarian Army invaded in a Nazi alliance, some 20,000 Jews were deported from Bulgarian Army-controlled areas in Macedonia, northern Greece, southern Serbia and Bulgaria. While Jews in Bulgaria were saved, the quota was filled with Jews who lived in other places. Entire communities, such as 7,200 from then-Yugoslav Macedonia, were deported to death camps. Are you looking for family members who may have been buried in a Jewish cemetery in Michigan? This resource may help your quest. 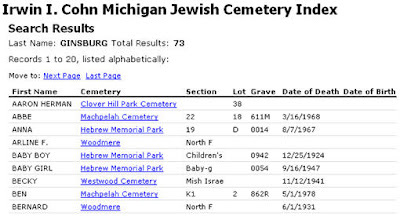 The Irwin I. Cohn Michigan Jewish Cemetery Index provides burial information for more than 64,000 Jews who died between the mid-1800's and 1999. While many cemeteries were very helpful in allowing access to their records, old, damaged, incomplete or missing records made the task of compiling a complete index impossible. As a result, the database does not contain every name. This database is considered a "first stop" for researchers. If you can't find a specific individual, he or she may have been buried in another Jewish cemetery in the state. The index is a work in progress and information is added as received. Since your ancestor might have been buried at a different cemetery, there is a list of cemeteries at the site. There are 36 cemeteries, each with a link. Contact them for more information. For more information, visit the JewishGen Online Worldwide Burial Registration site. For information on individuals who may have died more recently than 1999, visit the Detroit Jewish News obituaries. Matilda Brandwine is the founder and honorary chair of this effort. Thanks to her incredible insight, she began researching Jewish residents buried in Detroit metropolitan cemeteries. She and her volunteers gathered names, walked through cemeteries, recorded names from deteriorating headstones. The goal was that no one would be forgotten. Genealogists from around the world, with links to Detroit, are happy that this inspiration has provided a searchable database accessible to anyone with an Internet connection. 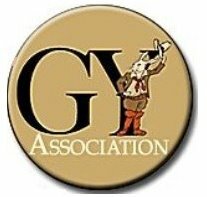 For more Michigan assistance, contact the Jewish Genealogical Society of Michigan here. Kohanim - members of the Jewish priestly clan, descendants of Aaron - may not enter cemeteries, as part of the restrictions concerning coming into contact with death or impurity. On some streets near cemeteries in Queens, New York, certain sections are marked so that Kohanim will not unknowingly walk on a sidewalk that might be disputed territory. In Eastern Europe, cemetery borders are less well-defined and wartime activities and post-war reconstruction have blurred borders even more. In one small part of Poland, however, arrangements are being made to determine the actual borders and to establish "safe" zones by careful mapping of the grounds and consulting pre-war maps. The details are in this story from Vosizneias.com. Poland - Good news from Lizhensk: Kohanim visiting Lizhensk will no longer have to stand on the edge of the road bordering the cemetery and take the risk of getting hit by careless drivers. Kohanim are among the many thousands who visit Lizhensk on the yartzeit of Rebbe Elimelech, but due to their sanctity are unable to enter the cemetery. Now the "Lizhensk Committee," headed by Rabbi Simcha Krakovsky, has mapped the area and found that Kohanim can enter a small area in the open field two meters away from the road. Several years ago, the municipality was asked to construct a traffic circle in the local market. During the excavation and road work, thousands of tombstones were discovered. These had been taken from the cemetery for road construction. The committee were able to save some of them and they were stacked at the edge of the local cemetery. The committee knew that the fence around the cemetery was not the actual border and that many graves were outside the fence. An investigation showed that only the nearby road is safe, free from graves, so it is safe for Kohanim to stand on. Surveyors checked the committee's investigation and confirmed the cemetery area. Additionally, the committee located a pre-war map showing the cemetery boundaries, as well as a contemporary map. The comparison showed that the cemetery extended to within two meters from the road. Thus they were able to determine the exact borders and provide a solution. Kohanim." Venezuela is located at the northernmost end of South America, has a population of some 30 million and covers 912,050 sq.km. One of the oldest cities is Coro, capital of the state of Falcon. It's a northern port city founded by Juan de Ampies in 1527. In 1827, a group of Jews emigrated from the Caribbean island of Curacao. Among the families were the Henríquez, Capriles, De Sola, Cardozo and Senior. A prosperous businessman, David Abraham Senior bought a house in 1852 that was used as the local synagogue until the late 19th century. 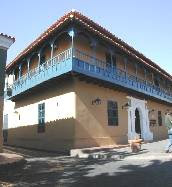 In 1986, it was sold to the state; since 1997, it has been a museum called Casa de Oración Hebrea (House of Jewish Prayers). It is considered a national monument and a legacy of the Sephardic Jewish culture in the early days of the city. Until 1832, the small community did not have a cemetery. Joseph Curiel (1796-1886) established it when his 8-year-old daughter Johevet Hannah Curiel, died. He bought land outside the city for the cemetery. Today, it is located on Zamora Street and is mostly used with non-Jewish burials, with fewer than 30 Jewish tombstones. This makes it the first and oldest Jewish cemetery in the Americas still in use. The site stands as silent proof of the community's assimilation, reflected in the names carved on the stones, as well as decorate elements of angels and other figures which are common in the Venezuelan Catholic culture. The Jewish Cemetery of Coro contains the tombs of influential families - Fonseca, Chumaseiro, Capriles, Maduro, the Curiels (patriarch Joseph Curiel and poet Elías David Curiel) and a notable woman with a Polish-sounding name who died in the 1940s. Most of Coro's small Jewish community – 168 individuals – was forced to emigrate after violent rioting and a series of political and financial events. It was the first time that Jews had been driven out of an independent nation in South America. In 1970, the cemetery was restored by the Asociacion Israelita de Caracas, which led the project and raised the funding, with the technical collaboration of the Department of Works, headed at the time by then-Governor Dr. José Curiel of Falcon state. 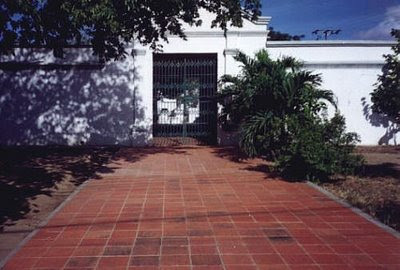 The cemetery is usually locked, and the keys are in the Museo de Arte Alberto Henríquez. Hebrew letters are still visible on the old stones and a large Star of David is at the entrance of the cemetery. The first 2009 update to the JewishGen Online Worldwide Burial Registry (JOWBR) database includes more than 55,000 new records and some 25,000 new photos from 17 countries. The database now has more than 1.125 million records from more than 2,100 cemteries and cemetery sections in 45 countries. Although the burial records are now "live,", additional files, maps and overview photos will be posted soon. - Maryland: More than 31,000 records from Baltimore-area cemeteries courtesy of the Jewish Museum of Maryland. - Colorado, Iowa, Nebraska: Terry Lasky submitted records and photographs personally created or coordinated with other volunteers. The update includes about 2,800 new records and more than 15,000 photographs. - Indiana: Gloria Green and her team have provided some 2,700 records and 2,700 photos for the Kelly Street cemetery complex in Indianapolis. - Bayside, NY: Maurice Kessler and his team have provided an additional 1,400 records from the Bayside/Ozone Queens cemetery complex. The original records were documented by Florence Marmor and David Gevertzman. - Pennsylvania: Susan Melnick has arranged continuing submissions of various state cemeteries on behalf of the Rauh Jewish Archives, John Heinz Pittsburgh Regional History Center. - Chernivtsi, Ukraine: Hymie Reichstein and Bruce Reisch of the JGS of Ottawa (Canada) for the second installment of some 3,800 records and photos. - Vilnius, Lithuania: Howard Margol submitted some 6,300 post-World War II burials in the Saltonishkiu Cemetery in Vilnius. - Iasi, Romania: Reuven Singer and his team submitted an additional 1,000 burial records translated from the 1887 Hebrew burial registers. According to JOWBR coordinator Nolan Altman, the next update should be prior to the 29th IAJGS International Conference on Jewish Genealogy, August 2-7, in Philadelphia. For conference information, click here. The project appreciates the work done by donors and encourages additional submissions. Whether you work individually on a cemetery or cemetery section or consider it a group project for your local Jewish genealogical society, synagogue or other group, all submissions grow the database and assist others around the world to locate information. Nolan encourages those who have already done cemetery indexing to consider having those records included in the JOWBR database.